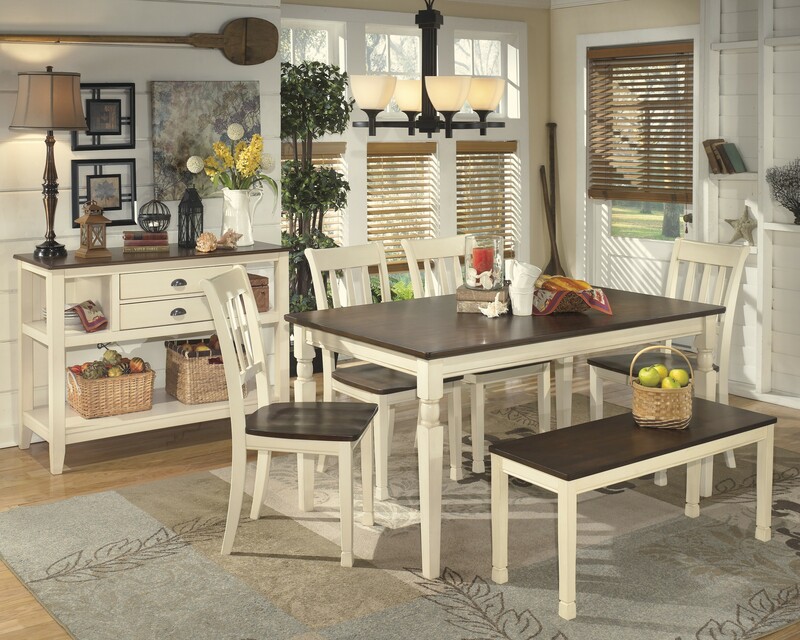 Incorporate cottage-cool warmth in your dining space with Ashley&apos;s Whitesburg 5-piece dining room collection from Carolina Furniture. A two-tone finish serves up twice the charm and character. 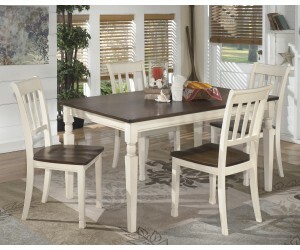 Made with select veneers and hardwood solids in a two-tone finish. 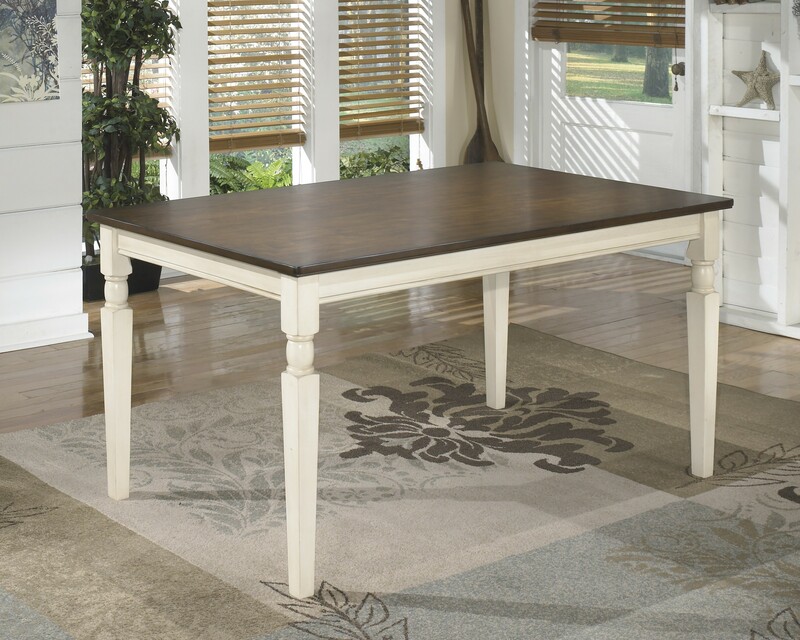 Table and server top and chair seat is finished in a burnished brown color. 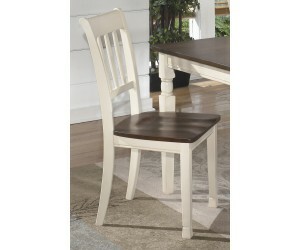 The chair frame, table and server base is finished in cottage white paint. The -01 chair has a delicately arched ladder back design. Antique bronze color bin pulls. Glued and screwed corner block construction.